Does the deteriorating health of the natural world concern you? Do you want to do something about the harm that is continually being caused to the environment? Luckily, there are professional degrees and career paths that will help you fulfill your dream. You can begin your education in environmental management to understand and implement ways to protect environment. Many individuals, companies, and industries are following processes to regulate and protect the environment. These collective efforts are known as environmental management. Normally, environmental management does not only focus on managing the environment itself. It also promotes behaviors and initiatives to protect and use environmental resources responsibly. 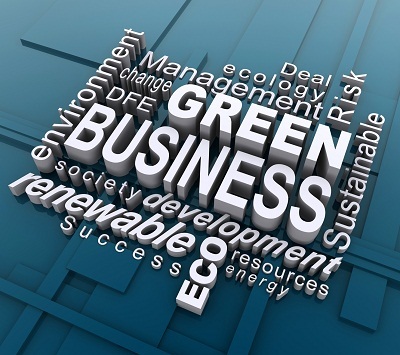 Organizations may participate in environmental management for a number of reasons. Some major reasons include care for the natural world, cost efficiency, and local laws about conservation. Environmental management plans may not look the same in all industries, but they all have similar goals. What are the degrees offered in environmental management? If you are interested in getting a professional degree in environmental management, you will find out that a number of schools offer environmental management degrees. However, you will need to consider certain factors before selecting a degree. It is good to find out about the accreditation, coursework, tuition costs, qualifications of faculty, and the overall repute of the school. Following are the major degree programs offered in environmental management. If you enroll in the degree, you will acquire a deep understanding of laws and environmental policy making. Besides, you will learn about various environmental management concepts such as resource utilization and sustainability. Most bachelor’s degrees are inter-disciplinary, which means that they analyze environmental management from different academic perspectives. You will normally require four years to complete the bachelor’s degree. Educational prerequisites for the degree generally include a high school diploma. In some cases, you may need to submit your standardized test scores as well. Although, the coursework of the degree may vary depending on the school you are enrolled in, some of the major courses offered in the degree include environmental chemistry, statistics, accounting, theories of water management, government budget planning, hazardous waste management, and introduction to air quality. After completing the core courses, students can also take elective courses, depending on their interest and career goals. Once you have completed the bachelor’s degree, you may be eligible for entry level jobs in the field, such as laboratory technician, field analyst, and environmental research analyst. Most students tend to acquire further education after the bachelor’s degree to enhance their career prospects. If you enroll in the master’s degree, you will acquire skills to analyze the natural environment and utilize environmental resources, while considering the needs of ecosystem and the community. Most students who enroll in the master’s degree are given the option to select a concentration for their studies. Concentrations may include topics such as air quality management or sustainable development. You will normally need two to three years to complete the master’s degree in the field. Educational prerequisites generally include an undergraduate degree. Some schools may also require you to submit scores of standardized tests. Besides the core environmental management curriculum, students also need to complete a research thesis or project. Some of the major courses offered in the degree include urban ecology, stream and river ecology, atmospheric physics, ecology of bioinvasions, watershed hydrology, and ecological toxicology. Once you have completed your master’s degree program in the field, you may be eligible for jobs in federal, state, and local agencies. Besides, you may find employment in the private sector as well. Some of the popular career options after acquiring the master’s degree include ecosystem restoration advisor, sustainable architecture specialist, sustainability specialist, and environmental management coordinator. Students enrolled in the PhD program are encouraged to draw on research approaches from a large number of fields, such as engineering, economics, sociology, geography, and environmental psychology. As a PhD candidate, you will develop research plans and analyze quantitative and qualitative data, after learning advanced research methods. Your research can be based in any area related to sustainable development and environmental protection, such as energy, transportation, water, waste, air pollution, behavior change, and land use. Some of the major aspects covered in the doctoral program include international development and sustainability, policy and strategy for government and businesses, social research on sustainability, energy demand and efficiency, low carbon and water foot printing, life cycle assessment, sustainable development policies and practices. Can I find online programs in environmental management? A number of online programs are available in environmental management; however, there are wide differences among these programs. So, it is highly recommended that you only look for accredited online programs, as they meet the quality standards set by a recognized accrediting body. Besides, not all programs are 100% online. Some programs require you to gain some hands on experience in a nearby facility or campus. Although, online programs offer a number of benefits to students such as convenience, flexibility, and cost efficiency, you may want to first decide whether you learn better in a campus based environment or online. It would also be good for you to consider the coursework and specializations offered by online degree programs, before you make the final decision. What are the career prospects for environmental managers? Many people working in the environmental management field help organizations in planning and implementing of conservation and environment protection goals. While some people work directly with organizations as consultants, others have more of an instructor role in an organization and give advice to companies to become more environmentally responsible. Some professionals also work as regulators, who work for government and other rule-setting entities. The regulators make sure that the companies meet the environmental standards set by the regulatory bodies. Q:What do environmental management courses teach? A:Environmental management courses teach you how to apply techniques for assessing and managing the environmental effects of public and private sector organizations. In addition to the academics, these courses also develop personal and professional research skills and enhance employability through consultancy based project work. Students are given the opportunity to practice and apply field, laboratory and monitoring techniques for environmental analysis as well. Q:What subjects are taught in environmental management degree programs? A:Different universities across the US offer environmental management degrees under various names. However, the course content revolves around similar topics such as green building and community sustainability, corporate sustainability and innovation, environment policy and international development, natural resource management and sustainable ecosystems. You can go for either an ecosystems concentration or a sustainability concentration.